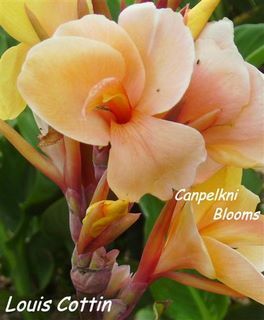 My favourite Cannas, here I have listed the cream of the crop cultivars and will attempt to list why they are so good in my eyes. 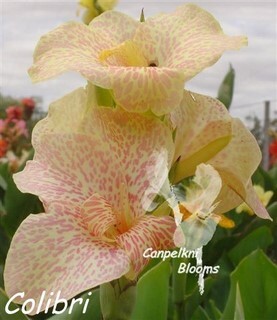 Canna Aida with big flowers and a big head of pastel blooms. 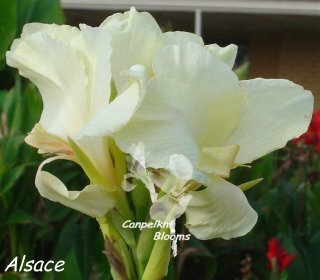 Canna Alsace would be the best all white canna. Canna Annei, I love the height and the fact that it is one of the oldest; these magnificent old cannas shouldn’t be forgotten. 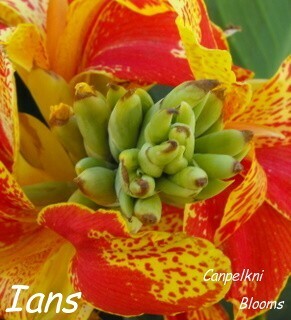 Canna Annjee, very beautiful and outstanding with good lasting color. 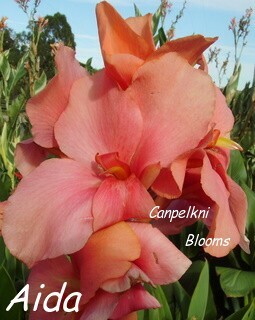 Canna Beatrix, big flowers with long lasting blooms and colors change with the season, love the surprises she gives. 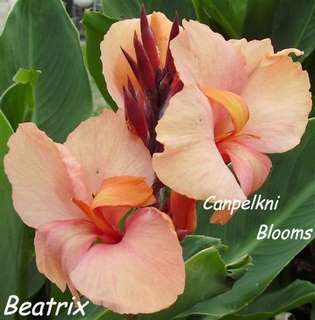 read more here about Canna Beatrix . 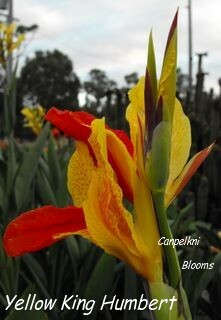 Canna Britannia, so unusual always a surprise of different flower color combinations. 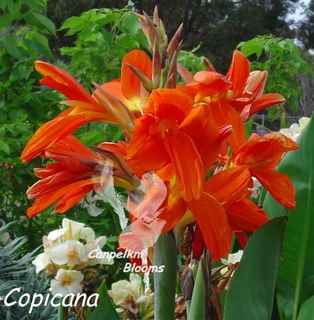 Canna Colibri with big wide long lasting flowers. 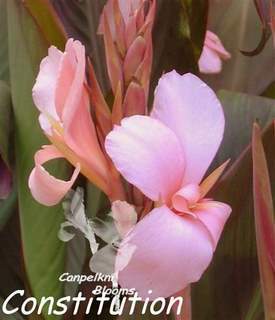 Canna Constitution has beautiful soft brown and tan colored leaves, beautiful foliage plant. 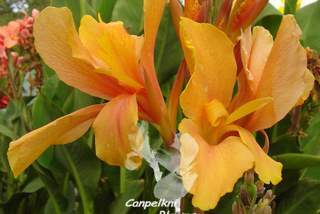 Canna Copicana has unusual creped like elongated flowers. Alsace can be seen in the back ground. 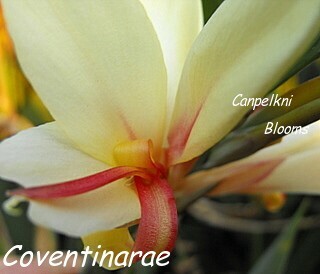 Canna Coventinarae with delicate ivory to white colored mid size flowers, pink coloring varies with season temperatures. 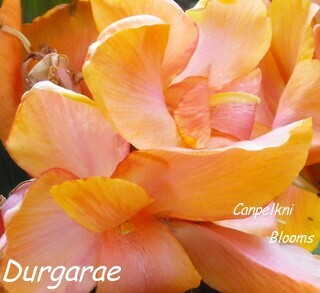 Canna Durgarae nice sized big flowers with irregular pink, always a few surprise, nice color combination, raised by me 2007. 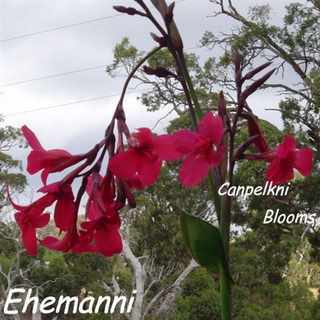 Canna Ehemanni, such a graceful flower, simple yet beautiful a favourite. 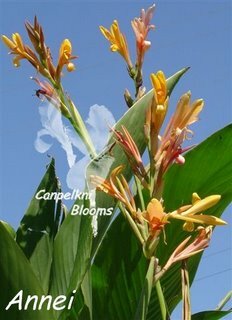 Canna Evolution is an easy grower that always flowering with color changes with the weather. 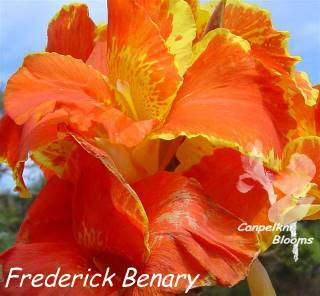 Canna Frederick Benary with massive wide flowers, I love this tall growing canna also for its grande height. 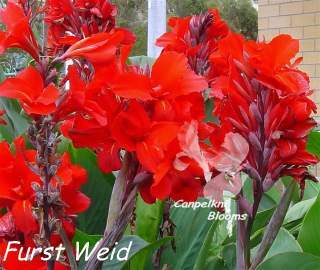 Canna Furst Weid is a favourite red producing many multiple flowering heads per stem. 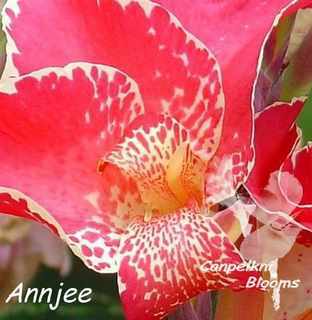 Canna Ian’s a real wonder, stunning spotted flowers that show irregular blocks of red during hot weather, I love the unpredictable surprises and long lasting blooms, a real treasure I found at my great great uncles. 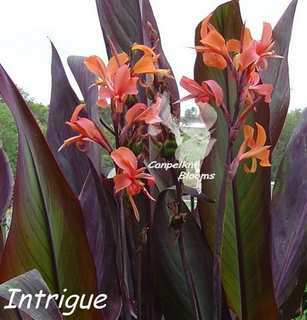 Canna Intrigue with the most impressive foliage, it’s long and slender with purple tones, very different and distinct, a top foliage canna. 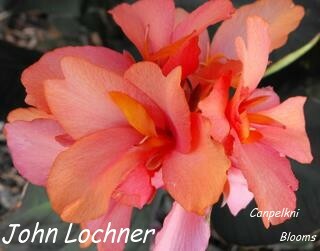 Canna John Lochner has been a long time favourite, he reliable, never short of flowers and his peach to pink flowers always catch my eye, more about Canna John Locnner here. 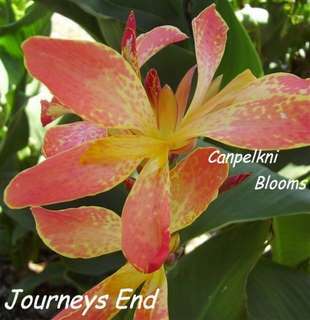 Canna Journeys End is a pretty one all pink and blotched with unusual elongated flowers. Canna Louis Cottin is just a superb little growing canna, it’s the two tones of colors that he show that I like about him and the fact that he isn’t shy to flower. 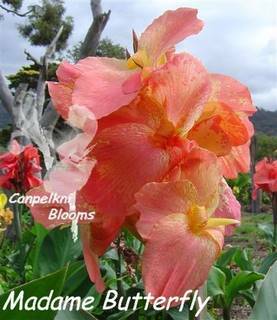 Canna Madame Butterfly I rate very highly, look at her flowers and how big they are, early to flower with a very good quality bloom. 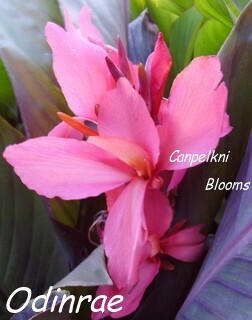 Canna Odinrae with very soft almost violet shaded pink flowers, that blend beautifully with its colored foliage, raised by me in 2007. 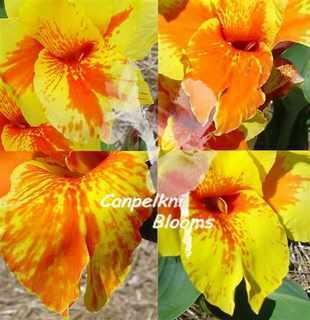 Canna Orange Crush just about has it all, multi colored medium sized flowers from an orange to pink, heavily blotched and each stem is packed with flowers, simply superb garden flowers. 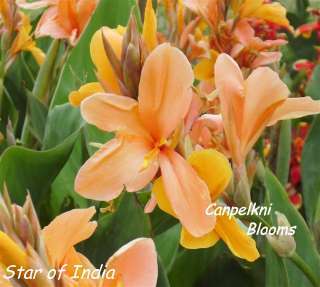 Canna Sherri is one of the first to start flowering and doesn’t stop till the harsh winter frost start, very reliable and always flowering. Canna Star of India this is a real worker, so reliable, early to flower and constantly producing blooms, the name is incorrect, its possibly an old Crozy canna in my eyes, it’s just so good in its traits, a top favorite. 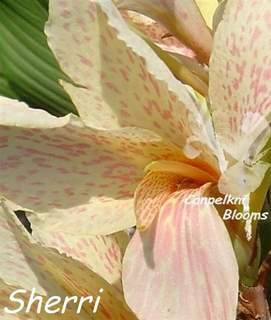 Canna Yellow King Humbert would win the canna plant award for the most unstable colored flowers, with changing combinations of different forms of red blocks and stripes both on flowers the leaves and stems. 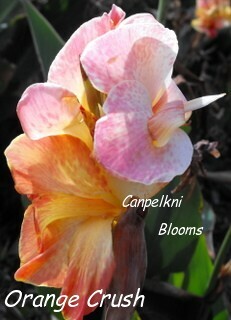 Well there you have it, some the Cannas I love to grow, I also love my Solo Build It web site, and you’re viewing it now. Check out below why and how other everyday people just like me have found success online.